Here is a quick little card I did using WPlus9 Design’s Funky Foliage Set! I love Easter and usually stray away from pastel colors…but I wanted to do a quick little note to play with the awesome “egg” shapes that are included in this set! Make sure to get yourself a set and play along! You can do so many fabulous things with these sets. Love them! Can’t wait to debut Dawn’s next release. I got to play with some of them at her house last weekend and had a blast! 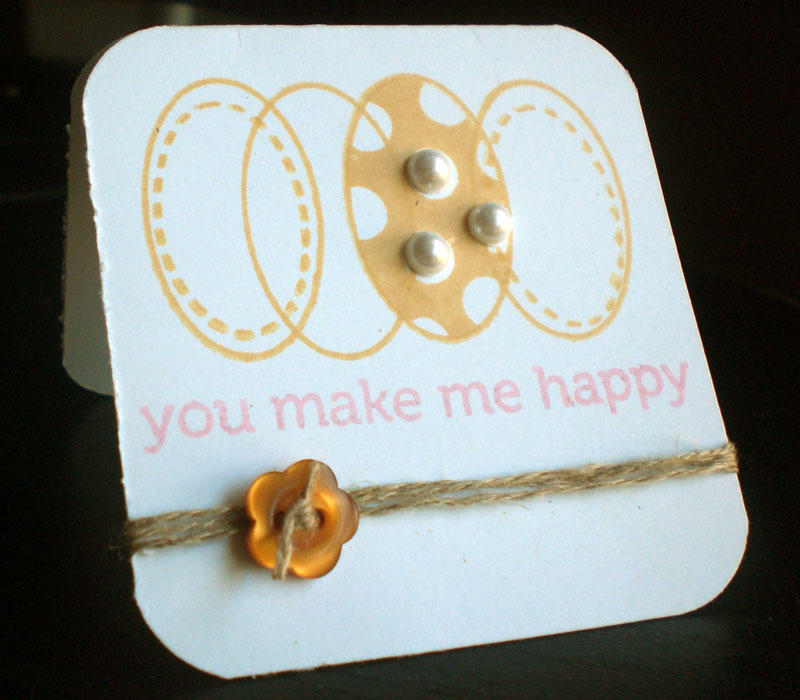 A very simple card with a little SU “So Saffron” and “Pretty in Pink” finished off with a little button and some pearls! Hope you have a wonderful Easter Holiday and the Easter Bunny brings you everything you wished for! This card is so BEYOND adorable! I love the colors and scale of this darling little creation… What a great share!